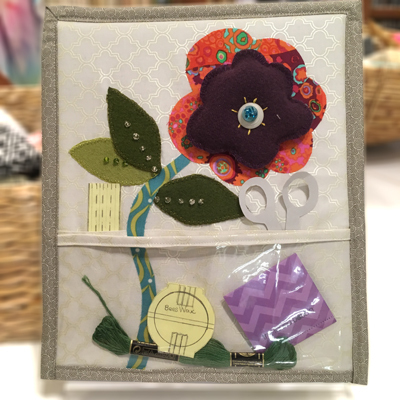 Keep your hand sewing notions and pattern “Close At Hand” with Julie Liggett’s vertical organizer. Beginners will learn to use fusibles, sew vinyl, make binding AND do wool embroidery. There’s a lot packed into Julie’s original pattern! Take advantage of this, Julie’s newest class!